Her Worshipful the Mayor of Barnsley, Councillor Linda Burgess congratulated HND Graphic Design student, Alice Firth on her winning hoardings design which is a boarded fence that will be assembled around the new Skills Village in Barnsley. Barnsley College and University Campus Barnsley Art and Design students were given a professional client brief, had access to the Skills Village site for inspiration and were given a presentation by Project Director of Henry Boot, who explained the purpose further. 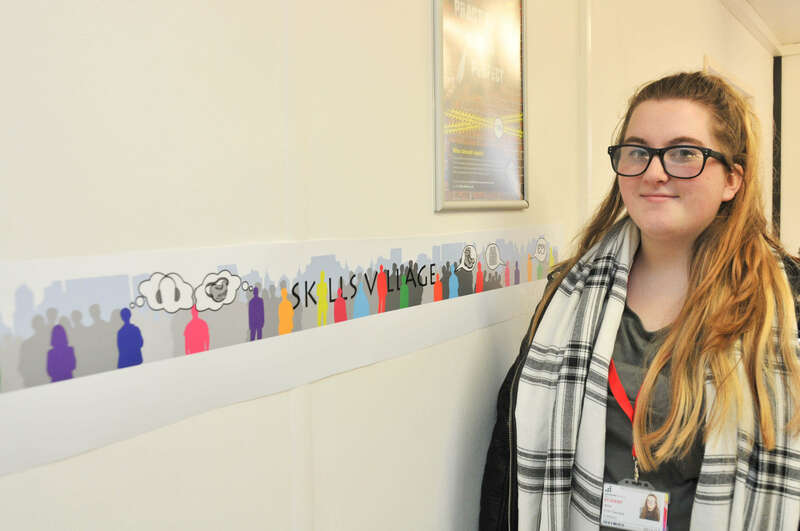 Alice was presented with £30 in Amazon vouchers and her design will be professionally printed and displayed inside boarded fencing installed around the new Skills Village site.